We bring all credit, collections and ARM industry professionals worldwide together, all in one place to market “All Things Credit and Collections”. We have created a worldwide cooperative of financial service businesses worldwide that market their products and services to consumers and to each other. Our cooperative is membership based and we charge a subscription to individuals and companies that access our members-only content. Our online portal can be used as a resource center to grow in knowledge, you will find information on topics that range from credit and collections to new business opportunities. Members can network, communicate and market their products, goods and services to the general public and to businesses alike, worldwide, Members can grow their brand, connect with like minded individuals to collaborate and promote each other, find new untapped markets, increase revenues by increasing their knowledge from the brightest minds in their particular industry or profession at the same time learning how best to adjust to today's markets and economies and become more consumer friendly by being more transparent and open regarding their dealings with businesses that can sometimes be a little scary. Members use our platform to navigate “all things credit and collections” in one place, the Professional Debt Collectors Cooperative. 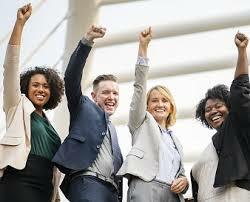 Our partners, affiliates and links will power our cooperative and provide consumers, businesses and professional service organizations with the resources and links that promise to be entertaining, enlightening and educational while potentially providing a multitude of revenue streams to our following. We are solving a problem that has plagued the credit and collection industry for decades by changing the landscape and the reality. Advocating professionalism, compliance and transparency will force rogue debt collectors to voluntarily work with the regulatory bodies who routinely find that consumers don't trust the banks, lenders, creditors and collection agents of the world. Open communications by consumers,creditors and debt collectors would reduce the millions of dollars spent to regulate the industry, defend the industry and increase the overall effectiveness of credit and collections as a necessary industry in many credit dependent nations of the world. Our solution to the problem is education, compliance training and certification. We provide a platform for industry professionals and consumers that work for them the ability to do their jobs better and to communicate in such a way utilizing social medias, that consumers will know that the debt collectors primary job is to assist the debtor to get out of the predicament by finding a way to help. instead of feeling that the creditor or the collection agent is the bad guy. Our target market is the credit and collections professional, from collection agency owners to debt collectors. There are over 39,0000 licensed collection agencies in the U.S. alone with over 400,000 debt collectors that are employees. Specifically our target audience includes many govt and professional service organizations, credit grantors, debt collectors, financial organizations, bankers, credit unions, payday lenders, attorneys and more. We have well over 1000 connections worldwide that are interested in what we do. To be a part of an industry-wide cooperative with markets worldwide that are untapped. These connections want to partner, collaborate and learn from some of the brightest minds in the world. Professional Debt Collectors Cooperative can help solve some of the problems associated with the industry by providing knowledge ,available to all that seek it. Our competitors have failed to connect nor provide a knowledge portal for the customer service reps, collection agents and in general the lower and middle level level employees that drive the industry. Creditcoop.org. the PDCC is everyone's cooperative. 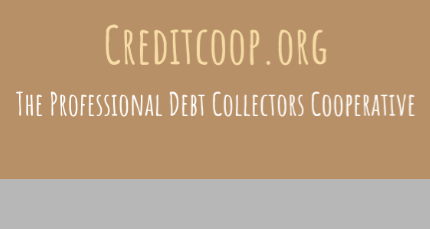 Professional Debt Collectors Cooperative offers both paid and free memberships. Products and services will be provided by our members, partners and affiliates. We use the business model of a worldwide cooperative, we create new jobs and business opportunities. We find new markets and stimulate economies by using our cooperative to sell memberships generating revenues from membership sales, advertising partnering, ,affiliate sales, sponsors and donations. Today's Professional Debt Collector, understanding debt buying and selling, the truth about these long misunderstood professions, along with providing product and service affiliate platforms. We provide links to work from home business opportunities. Worldwide marketing of many professional and nonprofessional industries and businesses, including the advocacy of entrepreneurship. Serving the credit and collections industry since 2007 our cooperative has attracted the interest of all sorts of businesses, collaborators and advocates worldwide. We boast having well over 1000 members who are the brightest minds in their respective industries. Our management team is composed of entrepreneurs and professionals, including many top executives in finance,banking, credit and collections. Our cooperative is run by it’s members. In many ways a cooperative is like any other business; but in several important ways it's unique and different. A cooperative business belongs to the people who use it—people who have organized to provide themselves with the goods and services they need. These member-owners share equally in the control of their cooperative. They meet at regular intervals, hear detailed reports, and elect directors from among themselves. The directors, in turn, hire management to handle the day-to-day affairs of the cooperative in a way that services the members' interests. Members invest in shares in the business to provide capital for a strong and efficient operation. All net savings (profits) left after bills are paid and money is set aside for operations and improvements, are returned to co-op members. Over 100 million people are members of 47,000 U.S. cooperatives. These people have organized to provide themselves with goods and services in nearly every sector of our economy. Their cooperatives may be organized in a number of ways and for many purposes. Cooperatives operate for the benefit of member-owners. In a cooperative, those with similar needs act together and pool their resources for mutual gain. But the returns are not just monetary. Members ensure that their cooperative business provides the best quality products and services at the lowest possible cost. Members control the business through participation in their cooperative; they extend democratic practice into their economic lives. Cooperative work together on the local, regional and national level to promote exchange among cooperatives, foster cooperative development, provide educational services, and provide a forum for examining and acting on common concerns for cooperatives. Numerous cooperative associations throughout the United States provide industry-specific services, educational programs, and financial and other services to their member cooperatives. Cooperatives are united internationally as well. Over 200 national cooperative organizations, representing 92 nations belong to the International Cooperative Alliance (ICA), the apex organization of all national cooperative movements. The ICA aims to promote cooperative development and trade worldwide and boasts an individual membership of more than 700 million people.